Home Jasprit Bumrah Mohammed Shami Jasprit Bumrah, Mohammed Shami & Ishant Sharma:- India pacers most lethal trio in a calendar year. Jasprit Bumrah, Mohammed Shami & Ishant Sharma:- India pacers most lethal trio in a calendar year. The Indian seamers had a fantastic year in 2018, with Jasprit Bumrah, Mohammed Shami & Ishant Sharma emerging as the most successful trio. Indian seamers Bumrah, Shami & Ishant Sharma on Saturday created the record of becoming the most successful pace trio in a calendar year with a total of 131 wickets in 2018. While Bumrah has taken 46 wickets in 2018 in 9 Tests, Shami has so far taken 46 wickets in the same year in 12 Tests. Ishant Sharma has also taken 39 wickets this year so far in 11 Tests. The Indian troika broke the 34 year old record held by West Indies seamers Joel Garner, Michael Holding, and Malcolm Marshall, who had taken 130 wickets in 1984. The South African trio of Morne Morkel, Makhaya Ntini and Dale Steyn who took 123 wickets in 2008 stood at the 3rd position. 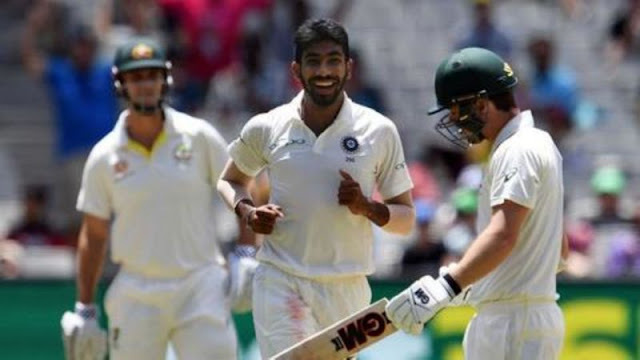 Bumrah registered 6 wickets in the 1st innings of the 3rd Test against Australia at MCG. It is the 3ird time the right-armer completed a five-wicket haul in a Test innings this year.